Interested students that wish to participate in the tennis try-outs need to submit the online registration form until March 10th. 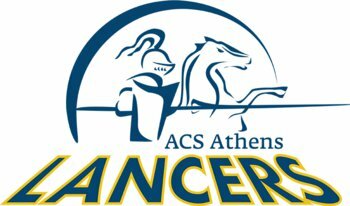 Any ACS Athens student in 6th-11th grades who fulfils academic requirements and is under the age of 16 years during the season is eligible for junior varsity competition. Any ACS Athens student in 9th-12th grade who fulfils academic requirements is eligible for varsity participation. Students in the 7th or 8th grade may participate in a varsity sport under special circumstances and if they are older than 13 years of age. Tryouts begin the second week of September and the season ends by the second week of November. Tryouts begin the third week of November and the season ends by the second week of March. Tryouts begin third week of March and the season ends by the fourth week May. Track and field*: Girls and Boys Middle School and High School teams (*usually starts and ends earlier than the above mentioned time frame).